I could not be more proud and honored to have received the State's attorney endorsement from the Carroll County FOP Lodge 20. I particularly know how valuable this endorsement is as the men and women who wear the badge in our county see first-hand the issues that exist on the streets and in the courtrooms. That is why I am so pleased they agree that after 20 years of incumbency, it is time for a fresh, energetic, passionate, pro-active State's Attorney that will form a true partnership with them in working to keep Carroll safe. I believe the support of the police is so critical for a State's Attorney, and am so incredibly thankful that the members of the Lodge have formally expressed their faith and confidence in my vision. 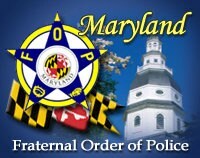 I am also honored to have received the endorsement of the Maryland Fraternal Order of Police, which represents over 20,000 law enforcement members throughout the State. There are many police officers that live in Carroll County but work in other jurisdictions, and I have worked with many of our law enforcement all around the State throughout my career. Having their support in addition to our local law enforcement is truly humbling. For over 15 years I have worked with the fire service by serving as a legal instructor for agencies such as the National Fire Academy, Maryland Fire & Rescue Institute, the International Association of Arson Investigators, ATF, and numerous other fire departments and agencies throughout the State and country. I continue to instruct fire investigators, first responders, and prosecutors on courtroom requirements and how to effectively handle arson investigations. I will bring a strong commitment as State's Attorney to not only arson prosecution, but in advocating for greater protections for our first responders through tougher legislation aimed at punishing more harshly those that intentionally set fires. I am very grateful to this lodge for their expression of confidence in me on behalf of their members that include both active members of our local fire service and law enforcement. Along with local and state law enforcement, Brian was endorsed by the Carroll County Times. In endorsing him, the paper stated: "DeLeonardo has fresh ideas, including a repeat offender team of prosecutors, an intensive treatment and supervision programs for first-timers facing drug charges, and re-establishing a drug investigator in Carroll schools." I am very proud to have received an "A" rating from the Carroll County Sportsmens' Association, the HIGHEST rating a candidate for office can receive. This reflects my strong, and long-standing, support of the 2nd Amendment rights of law-abiding citizens while maintaining a strong prosecution stance against those who would commit violent crimes and drug offenses with firearms.